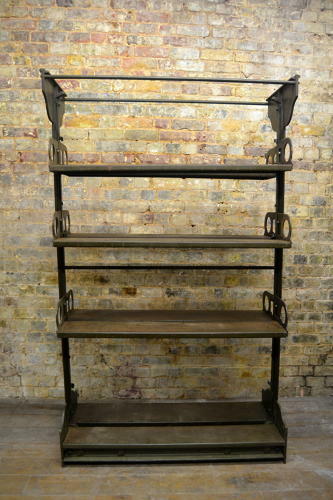 This is an industrial shelving unit from the turn of the century (1900), with adjustable shelves and a cast iron frame. Made to stand in the center of the room. There are three adjustable shelves on either side. Ideal for a vintage style store or interior.